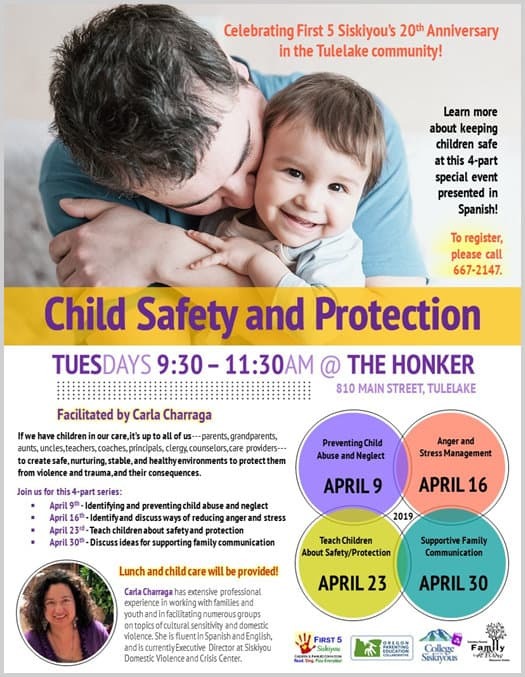 First 5 Siskiyou invests in the future of young children and their families in Siskiyou County with the goal of promoting the health and well-being of young children during their most critical years of development, from the prenatal stage through age five. Our vision is to support parents of young children in nurturing healthy development, love of learning, and to be able to enter school as active learners. 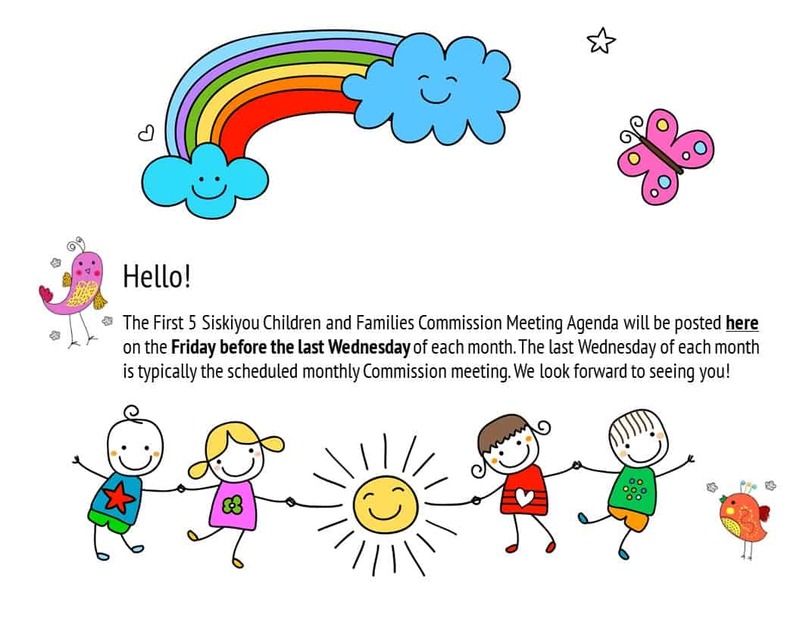 First 5 Siskiyou Children and Families Commission funding is from revenue from the voter approved Proposition 10, passed in 1998, adding a tax on cigarettes and other tobacco products to improve services and resources for children in the most critical time in their lives – the first 5 years. 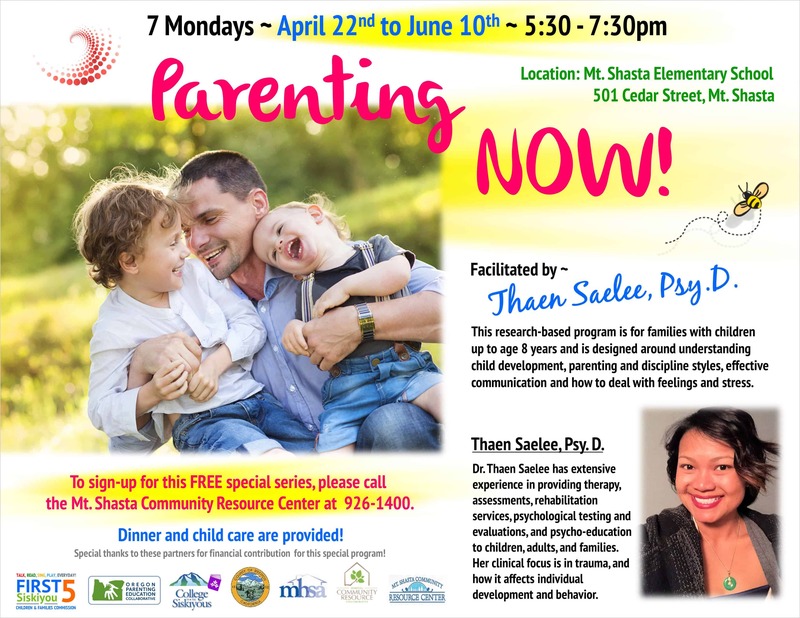 Increase resources for families to optimize the critical role they play in the emotional, physical, and social development of their children. Promote and optimize children’s development and learning both inside and outside the home by improving access to high quality early care and education programs. 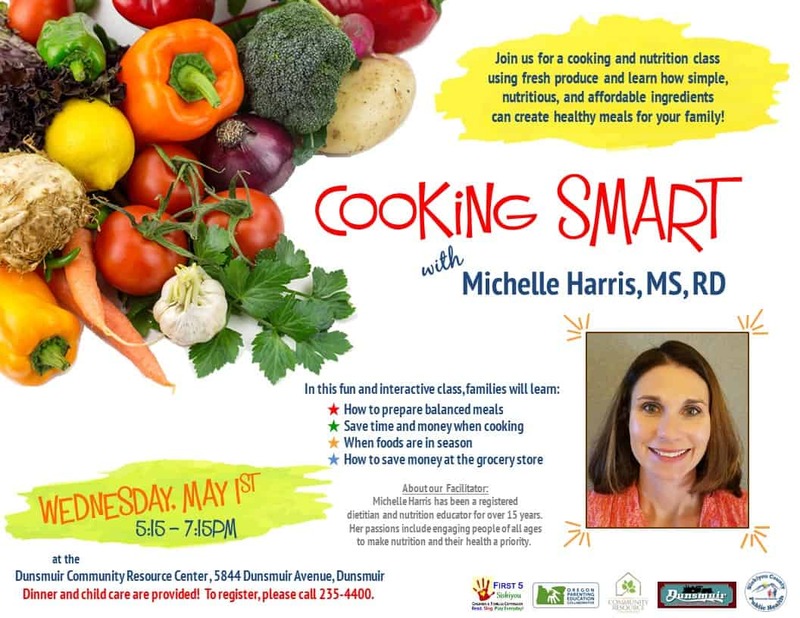 Provides screenings, resources, and education so that each child is healthy, well-nourished, and is in a nurturing, safe, and stable environment. Create and enhance collaborations for effective and efficient collective impact. STEWARDS OF CHILDREN is the only evidence-informed, award-winning training that teaches adults to prevent, recognize, and react responsibly to child sexual abuse. Adult education is key to preventing child sexual abuse. If it can be prevented, it can be stopped! Breakfast will be provided! 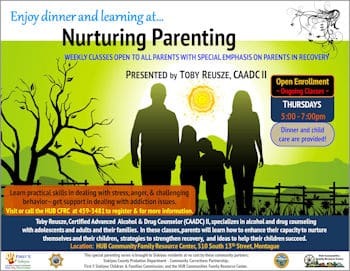 Parenting Classes, Workshops, & Special Activities— Coming Soon! This month’s Parenting Together Newsletter, courtesy of Oregon Parenting Education Collaborative (OPEC), is all about benefits of a positive bedtime routine. Research past newsletters here. 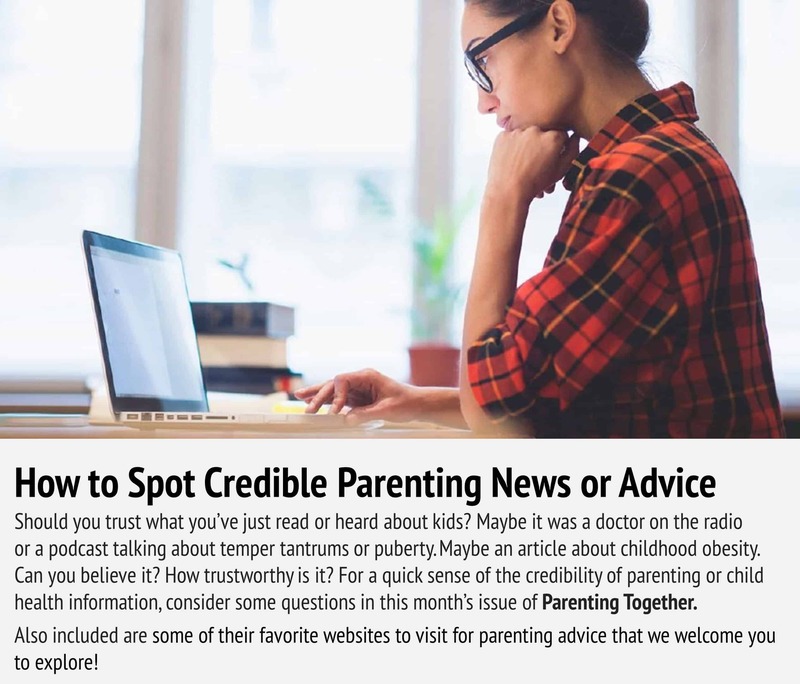 These monthly newsletters are great research-based resources available to parents and educators! 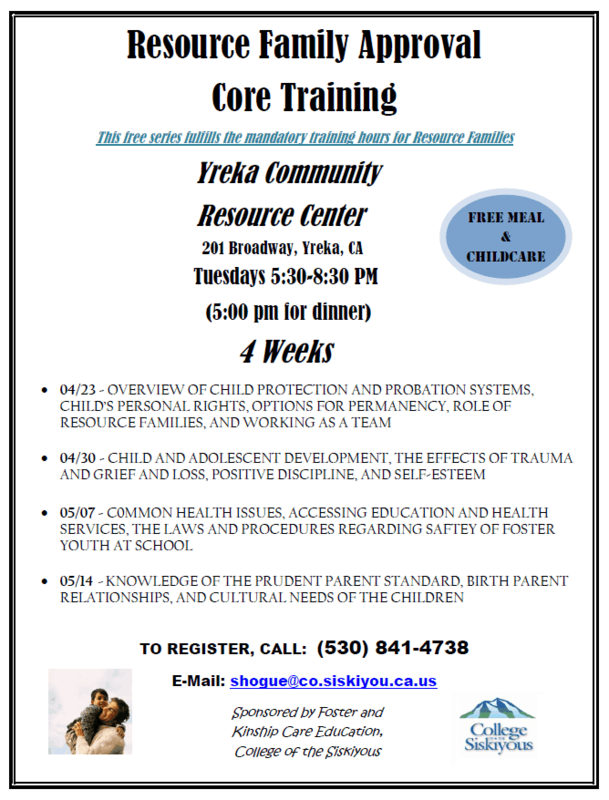 is now available in Siskiyou County! in preschool children and ensure that every child has books. The Imagination Library is now available in Siskiyou County! Through this program, children ages birth to five receive by mail a new, age-appropriate book every month. Our goal is to foster a love of reading in preschool children and ensure that every child has books. 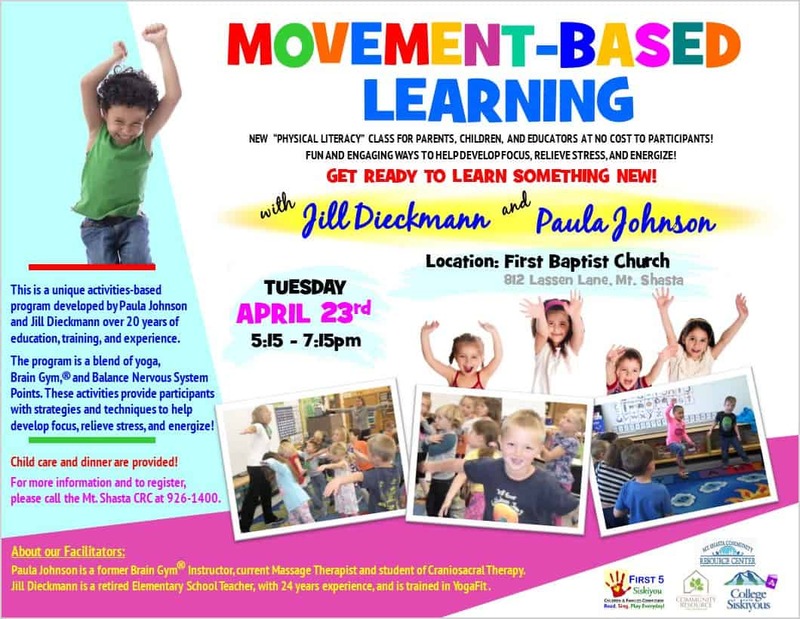 You can also pick up registration forms from community libraries or the family resource centers. Your generous gift is tax deductible. 100% of all donations goes toward the cost of the books. Donate now to help ensure all of the 2500 young children in Siskiyou have access to books! “I want to say thank you for the wonderful backpacks for the kindergartners for next year — my daughter loves it!” Amanda L.
“I was super-surprised to receive all of the gifts and gift bag from a nurse at Fairchild Medical Center when my son Derrik was born — thank you very much! I’ve already read all of the books to Derrik and his big brother Darren — we appreciate them very much and also all of the educational information about parenting and development.” Laura P.
Vroom was created to help you make the most of the moments you already share with your child and to support you on your brain building journey. It is based on the latest early brain development research and was designed to layer onto your existing routines. 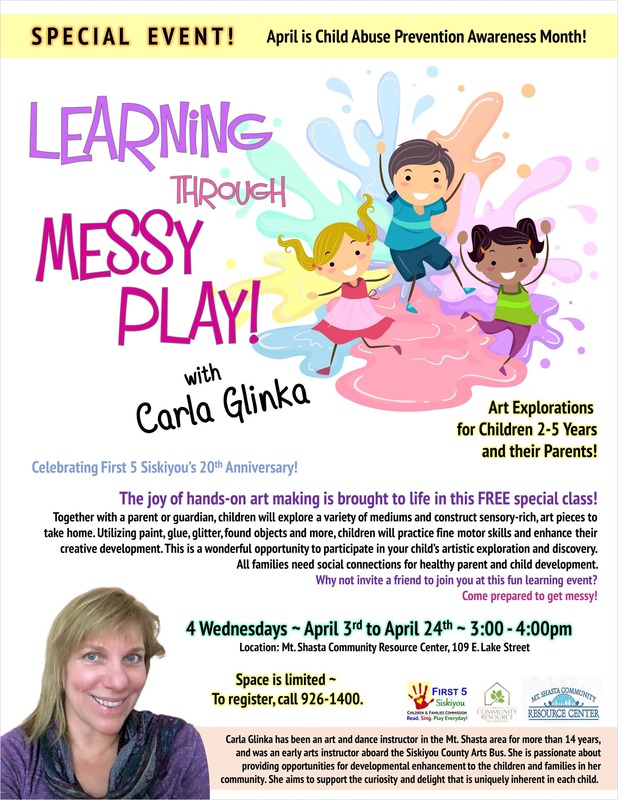 With each short activity, you teach your child the life skills that help them thrive! Click here and see for yourself how Vroom tips are fun and easy to use! 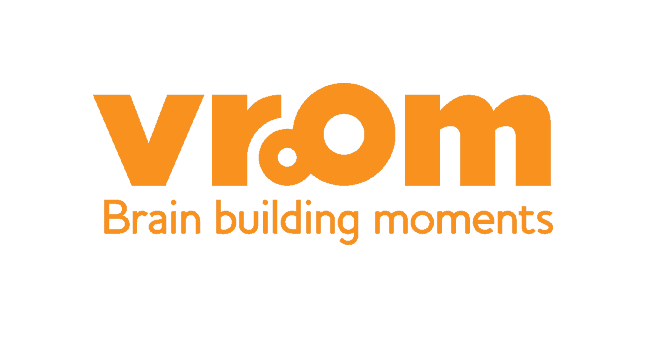 Vroom was created to help you make the most of the moments you already share with your child and to support you on your brain building journey. It is based on the latest early brain development research and was designed to layer onto your existing routines. 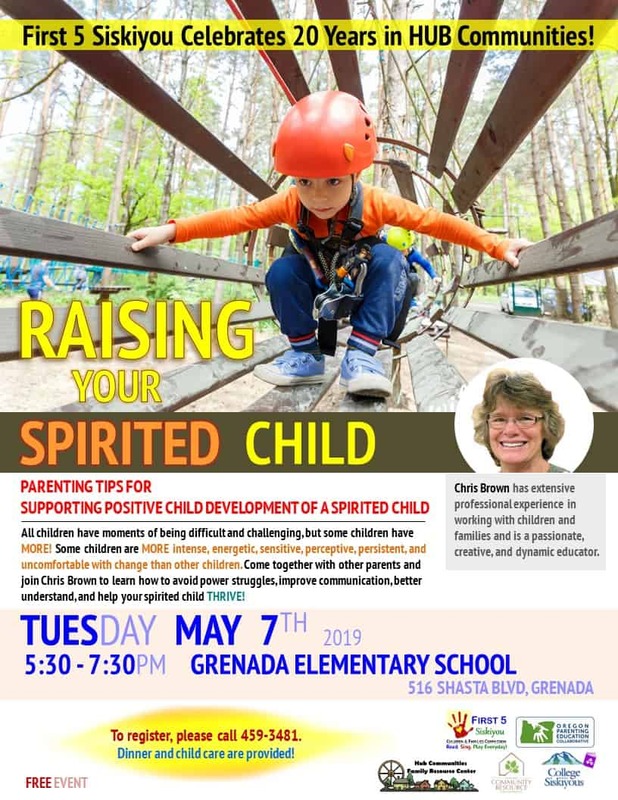 Help Me Grow California supports success for all children by helping families and professionals with outreach and education about available community resources. 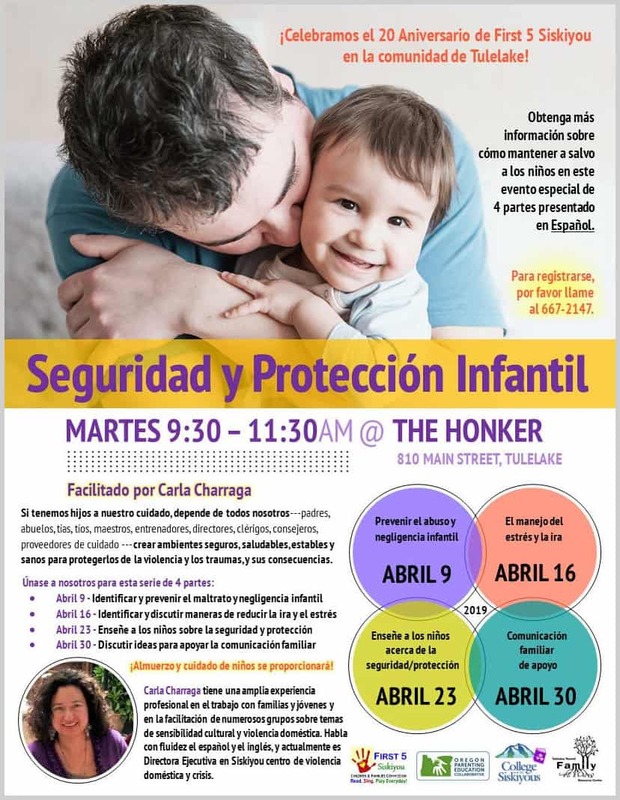 By strengthening protective factors in families, Help Me Grow supports parents and caregivers to better understand and promote their child’s developmental milestones and encourages their readiness to learn and succeed in school. Click here to visit their website! 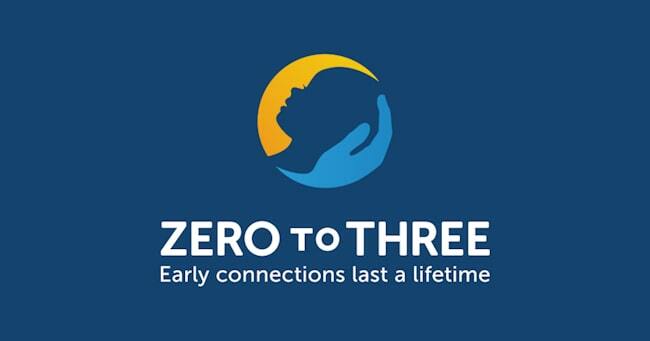 ZERO TO THREE works to ensure that babies and toddlers benefit from the early connections that are critical to their well-being and development. The first three years of life are a period of incredible growth in all areas of a baby’s development. 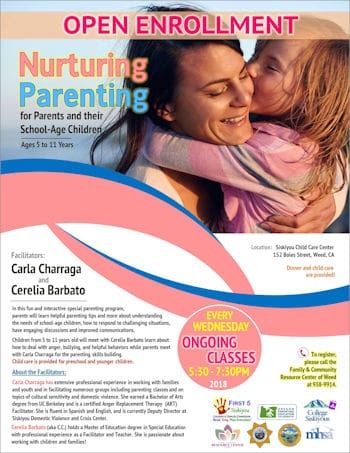 Learn how the earliest relationships with caregivers can promote healthy brain development, how young children build social and emotional skills, and ways you can support language and literacy development starting from birth.